Piotr Kaczyński, formerly a researcher at the Centre for European Policy Studies (CEPS) in Brussels in 2007-2012, runs a blog called 2019EUelectionsPoland.com. Jarosław Kaczyński, the leader of Law and Justice, known for his strategy of ‘ruling by conflict’, has been caught on tape. The recordings are called “the Kaczyński tapes” and there is a series of articles about the issues on hand. The gist is this: politicians and sympathisers of Law and Justice want to build a couple of skyscrapers in Warsaw. 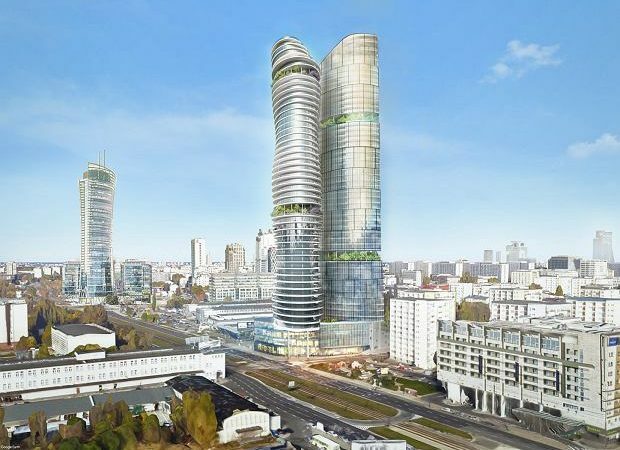 The initial name of the project is “K-towers” for the Kaczyński twins, or just – “the Twins”. The investor who was going to do it is the company “Srebrna” (Silver), named after the address of its real estate. Srebrna‘s owner is the Foundation Institute of Lech Kaczyński, created after Jarosław’s twin brother Lech, who was Poland’s president 2005-10, died in a 2010 plane crash. Jarosław Kaczyński is a member of the Institute’s board. Srebrna’s strength is the land it owns, but it lacks capital to build the towers. Srebrna owns land parcels in the Warsaw city centre worth millions. The political entourage of Jarosław Kaczyński’s first party, the Centre Agreement (Porozumienie Centrum, PC), received this piece of land in the early 1990s. It may have been a shady business deal back then, but the dust has now settled and Srebrna is the legal owner of the parcels. Srebrna’s partner is an Austrian businessman and Kaczyński’s distant relative, Gerald Birgfellner. Together, they plan to construct two skyscrapers, about 190 meters tall. Warsaw is full of high-rise buildings and there is plenty of room for new investments. Building skyscrapers is good business. Hurdle number one: the money. No problem: the state-owned bank, Pekao is expected to grant a loan of €300 million to finance the investment. Hurdle number two: “wuzetka”, or a permit to begin the construction. The city can issue the permit but the city needs an OK from the office for the conservation of historic buildings. It is necessary to make sure that the building already on the land owned by Srebrna has no historical value. But this is disputable. The building is around 100 years old. In Warsaw, a city destroyed in Second World War, most buildings dating before 1944 are usually protected. Newsweek Polska published the story back in 2017: the conservator who issued the OK to take down the building was a PiS nominee. Still, the OK from the conservator is there. The city, however, is delaying the permit. Politics becomes an issue. 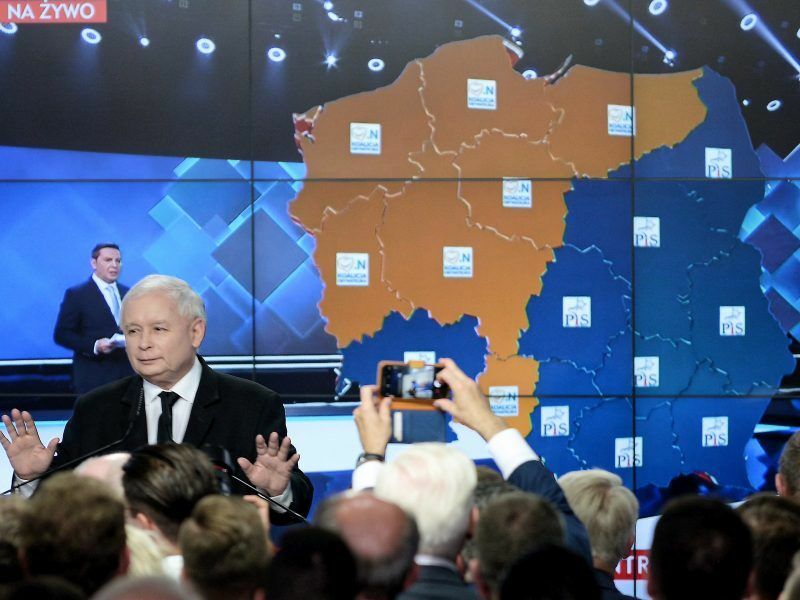 On the tapes, Kaczyński says on 27 July 2018: “If we don’t win the Warsaw elections, we will not build the skyscrapers“. Summer of 2018. There is a new political problem, hurdle number three: “the Śpiewak operation”. Paweł Śpiewak is an independent left-wing candidate for the mayor of Warsaw. His “operation” is, in fact, an attempt to publicise the PiS plans to construct a skyscraper in the heart of the capital. In summer 2018, the construction is put on hold, and Birgfellner is unhappy. He has had 160 business meetings related to the investment, including 16 with Jarosław Kaczyński. He has had costs. He has been promised a 3% commission, or about €9 million. Srebrna refuses to pay the bills. Birgfellner takes the case to court. The tapes are published. Kaczyński tries to calm down Birgfellner. He says he has no direction over the Srebrna management and that the only way for Birgfellner to recover his costs is to sue Srebrna. “Sue us, we will settle the issue, we will get a title [reason] to pay and we will pay the money”, Kaczyński tells Birgfellner on 27 July 2018, according to the tapes. And so, Birgfellner sues Kaczyński. One of Birgfellner lawyers says: “We consider suing chairman Kaczyński in Austria, as the Austrian law so allows”. Indeed, the independence of Polish courts can be questioned. First and foremost, the political parties in Poland cannot run economic activity. If Srebrna is PiS (as Kaczyński suggests by calling Srebrna “us” in the tapes), this is a violation of the law. Also, if Kaczyński didn’t represent Srebrna in those negotiations, who did he represent? Second, and probably the most important: the public message. PiS is supposed to be clean and to fight against wrongdoing. According to its official messages, PiS is at odds with the wealthy and the powerful; PiS is a friend of the underprivileged and disenfranchised. Yet in July, party chairman Kaczyński offered a settlement, or a deal, to his Austrian business partner. Kaczyński says he cannot allow newspapers to write stories like “Party builds a skyscraper”, for this would be unacceptable for the general public and damaging for his electorate. This explains the frontal assault Law and Justice launched in the 2018 local elections in Warsaw. The party lost the vote, massively. Third, the double standards. Gazeta Wyborcza concludes that Poland is not Russia, even if Putin does what Kaczyński contemplates. “Putin was never caught admitting to breaking the rules, while Kaczyński is caught”, editor Michał Danielewski wrote. But he added that Poland is not a country where people are equal before the law: if a similar case involved any other political leader, he would soon be visited by the Central Anti-Corruption Bureau, accompanied by cameras from TVP, the public TV station. Gazeta Wyborcza did not remove PiS from the Polish political scene with its revelations. But they have shattered the public image of Jarosław Kaczyński and Law and Justice as a morally superior party representing an average, low-income Pole. At best, PiS is now like everybody else. At worst, they are much worse. That’s the message even PiS supporters will take from this. If you support PiS because of your interests, rather than convictions, Tuesday’s breaking news is irrelevant. If you are a true Law and Justice believer, this story may shake you a bit. And voters could look for other options.